The people of Comoros on Monday, July 30, voted in a referendum to extend the term of President Azali Assoumani. According to the electoral commission, a turn-out of 63.9 saw President Assoumani allowed to run for another term. 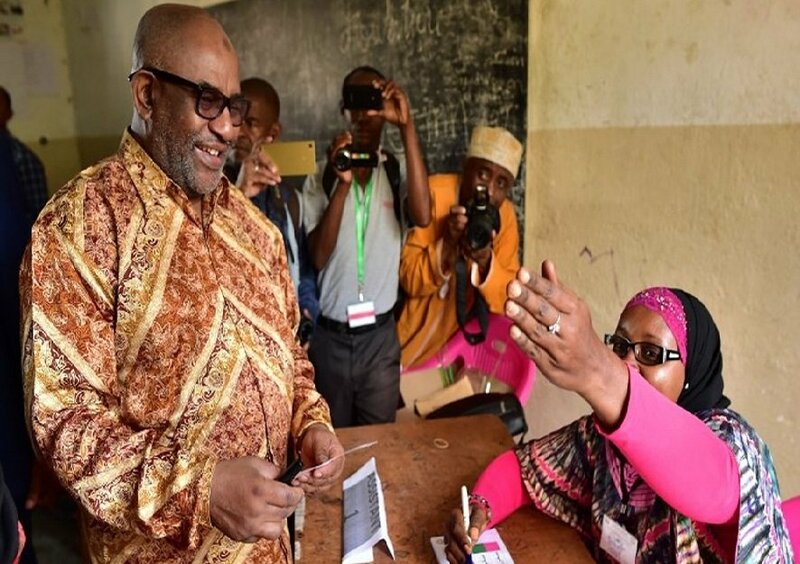 “I’ll give you the national results … ‘Yes,’ 172,240 votes, which is 92.74 per cent, ‘No,’ 13,338 votes, which is 7.26 per cent,” President of the Comoros National Electoral Commission Ahmed Mohamed Djaza said yesterday. The referendum came on the heel of complaints by the opposition over a crackdown on dissent by the government as well as claims that President Assoumani would use this chance to change the constitution to not only get rid of the country’s three vice presidents and to affirm that Comoros is an Islamic nation by getting rid of a secularism clause. The opposition boycotted the referendum amid claims of voter fraud. “In the majority of polling stations visited, there were fewer than 20 voters waiting to cast their ballots. But when we returned we observed a sudden flood of voting papers in the ballot box. That doesn’t make any sense,” Jules Hoareau, a member of the Eastern Africa Standby Force observer mission, told AFP. President Assoumani had stated that he would step down if the referendum did not pass, and now he is expected to hold elections in 2019. His tenure, which started in 2016, has been marred with controversies including the suspension of the constitutional court, banning of protests and placing of former president Ahmed Abdallah Mohamed Sambi under house arrest. Assoumani was president between 1999 and 2002 after he successfully ousted acting president Tadjidine Ben Said Massounde and between 2002 and 2006 when he won the country’s first multi-party elections. He vied again and won the presidency in 2016, in an election that was filled with irregularities and violence.